IFB is great for many things, and I believe the best thing that our contributors have to offer is years and years of experience in the industry. That being said, our experience doesn't always help when it comes to new bloggers – those of you who may have started your blog last week, last month, or within the last year. 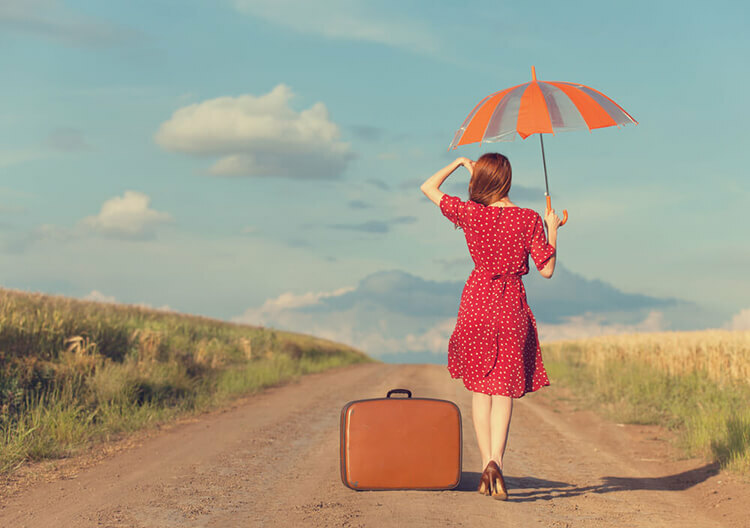 Blogging was an incredibly different world 2 years ago, and it was REALLY different 4 to 9 years ago (when most of the IFB writers began their sites). When I began my blog, there were thousands of blogs – and now there are hundreds of thousands, if not millions. The major publications didn't have their own, and brands didn't have digital media teams or blogger relations. 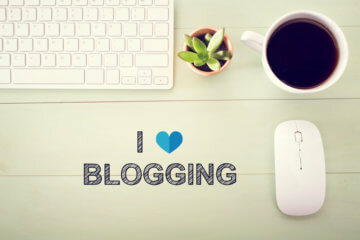 Blogging was about creating a voice independent of magazines and providing an alternative opinion to the fashion rules. Early fashion blogs really democratic, and most bloggers were taking photos with their cell phones (or with low quality point and shoot cameras propped on stoves, tables, or rails). Knowing that blogging has changed since we started, I reached out to some blogging veterans to hear what they think are the challenges facing new bloggers (and next week we'll talk about ways to navigate through those challenges). Julia, Sarah, and Gemma all hit on the same amazing point: new bloggers lose the learning curve that early bloggers had. If 3 different bloggers independently think of it, does that make it the largest hurdle new bloggers face? It can be intimidating to launch a blog expecting to know it all, and the reality is – no one expects you to know it all. The learning curve is still there, and it's arguably much more steep. But don't let that stop you from learning about it as you go! When Jess said this to me, I had an A-HA moment! All that noise that we filter through! There's SO MUCH noise online. It's hard to filter it all, and as a blogger, I certainly don't want to contribute to MORE noise. Yet, every day, as I scan through Facebook, my twitter streams, and blog posts, and it always goes back to this: there's only so much noise I can focus on. As a new blogger, it's easy to follow the crowd and do what others are doing… but does that mean you're creating content that genuinely helps or pleases people, or are you just creating more noise? Crosby, super-blogger and super-mentor, connected me with Karen (who is launching her first site). What Karen shares isn't unusual – I've seen many comments on IFB about about how hard it is to build relationships with other bloggers. Sometimes I'm at a loss of what to say or what advice to give, because I've always built my relationships the same way: leave a steady flow of good, engaging comments on a site. Interact on Twitter. Sending emails… and then, like any relationship in life, a blogger buddy was found. This may not be the easiest way anymore, but then… how do you do it? How do you build those meaningful relationships? Now that you know what we *think* are the challenges facing you as new bloggers, I'd love to hear from you! What are the challenges new bloggers face? Next week I'll share suggestions and ideas on how to break through these challenges, fueled by some creativity, hard work, and blogging basics! Getting readers! I just started and I think the hardest part for me is networking, reaching out, and trying to get a reader base. I have to that when I started blogging in 2008, there were not nearly as many blogs with perfect pictures and perfect web design. I still don’t have those things. I try to remind myself that just being part of the community of bloggers is validating in itself. When I see myself in the community I am not just a commenter, I am also a contributor. It wouldn’t be a true community if the members felt like they were not participating in the way that makes them happiest. So that’s why I keep doing what I do. I have to say that it is a lot easier to establish a presence locally than it is to nationally. I have been invited by local organizations to participate in fashion shows, I have collaborated with major brands and I have connected with a lot of great bloggers in my area. I have to say I think I have accomplished a lot for not having a fancy camera and impeccable web design. Keeping the web design simple and getting creative with your photography can go a long way. Even though I admit it would be super cool to be known as a blogger, I need to keep in mind that the real reason I am doing this is because its a wonderful artistic outlet for me and keeps me happy and creative. So I am trying to not get bogged down or intimidated by all the stuff I don’t know how to do, and focus on having fun! I’ve just started a new style blog — stylephyles.com. I’m so aware how little time I actually have that I try to ensure that I’m not bitting off more than I can chew. I see other bloggers who have a million different social connections…maybe they manage it well or maybe not so much. However, I’ve planned to build a little at a time as far as social media and connections are concerned. I really want to enjoy my experience and I want blogging to be fun. I really don’t have a timeline to rush to. So my challenge is really being honest about what I can do today and build from there. Just thinking from a point of view…If I build (good content)…they will come and I’m still learning about what it means to produce “Good (original) Content”. I think I’ve read this time and time again on IFB and I think this is probably the same for pro bloggers as well as newbies such as myself. If this doesn’t work, I’ll rethink it, but for now – this is what I have decided to do. Of course I also welcome additional feedback as I experience this new venture. My blog is barely 3months old. Ok it will be 3months tomorrow,hurray. The challenges I have faced so far is getting designers/models to run interviews. Some talk you down. Also consistency: I constantly need to update my blog. I have a minimum threshold of one post per day. Time: Just like most bloggers, I work. Blogging is secondary. In other to keep a steady inflow of audience, you need to be there always. Getting followers: It isn’t easy getting followers and dedicated readers. It takes a whole lot of patience. There are obviously a whole lot of challenges, but I believe that passion and determination will lead you through. Great article. Surprisingly, it has been relatively easy for me to develop relationships with bloggers (I met several during NYFW), despite being a new blogger (<6 months). But one challenge I have struggled with is branding and site design. Right now, my blog theme is shared by hundreds if not thousands of other fashion bloggers; I know that can't be good for the long run. That's something I hope to have resolved by the end of the year. Being a new blogger is definitely a challenge! I’m really looking forward to next weeks post. My blog is just over a year old and all of the above mentioned is what I have been facing. When I started I had no idea that I would need a domain name a fancy camera or a fancy website design. I jumped in by the seat of my pants and as a result my learning curve has been pretty long. It is only now 18 months in that I am starting to truly feel confident about my own voice and brand. I have been blogging since May and I started getting more and more readers in the begining of September. So I am not worried about that, because I feel that if you do what you really believe in and stay true to yourself and what you set up to do in the first place – new readers will come to your blog and it will develop spontaniously. But The thing that I am most wondering about is, how to get my readers to go from my blog to my facebook page and bloglovin and follow me. I know my readers are out there because I see it in blogger statistics, but having followers to show in numbers is really important. And that’s basiaclly my question. How to get your readers to show in numbers? As a new blogger myself, I do believe that consistency counts! You’ll start to see results slowly and surely if you continue to blog what you love. It’s a tough hill to climb, but you’ve got to keep moving forward. I see improvements each and every day and you will too! Good luck to all new bloggers! Thanks for sharing this info – I love that I can always count on heartIFB to relate to my stream of consciousness as I embark on going full-time blogging status. I’m about 3 months old on my blog, loveyouduh.com – I think the biggest challenge so far is yes, getting that consistent person to take photographs of you that looks amazing & professional. But b/c of the saturation in the market, I think the more prevalent challenges are the ones you have to face within yourself… your internal dialogue. I have to admit, in person I’m attractive, but when you compare me to the tons of other amazing fashion bloggers on lookbook & the top fashion bloggers that have made it, I’m definitely not the prettiest or the most fashion savvy. And that’s a personal test that you have to go through, is fighting through that own kind of self-doubt and self-barriers. In order to immerse yourself in the community, you interact with those who has it better than you in some way… either in the quality of their photographs, their budget & what they can afford, or even the birth lottery of having just goddamn beautiful facial symmetry. All in all… after having to go through those trains of thoughts myself, the old cliche’s work and work well: we are still unique in our own way and we have to exert that uniqueness onto our personal branding and with the right exposure, people will fall in love with you. Maybe not all, but some. And some is all you need. Krissy? What are you talking about :D, I went to check your blog and you look sooooo gorgeous!!! and your style is amazing! You look better than most of those bloggers you’re talking about and your style does too! I’m only four months in and my biggest concern is trying to build a readership. I realize it will take time, but I’m constantly trying to figure out how to reach my target audience to grow my following on the blog and on facebook and twitter. I have been blogging on and off for about three years and admit freely that the reasons mentioned above and discussed by my fellow bloggers were/are a large part of why the blogging has been on and off. In addition, and this will sound shallow but bear with me, I frankly felt discouraged that a seeming requirement of connecting with readers were: a great camera, a great photographer/lover/friend/etc to use that great camera, a great body, great layout, and what seems like a never ending well of money! Admittedly, my own insecurities have been something that has been holding me back from committing 100% to blogging, but I’ve also felt that the blogging community has become more rarely supportive and more often critical. Moral of the whole story though – keeping trucking along, rock what you’re doing, and to remember that you are blogging primarily for YOU! Have fun!!! You have no idea how much I understand you. There are so many things that discourage you. Negativity (especially here at Czech Republic) is on of them. The meaningful content, good quality photos etc is the other one. Own self-confidence the biggest one. Never mind.. I am currently at the state of bringing my sleeping blog back to life. To better life… But I keep my fingers crossed for you, keep posting, girl! Wow this is so on point for me. My blog is just two weeks young. I started my blog because of my love of fashion, thrifting, etc. The content I create comes from my passion, love, and inspirations that I receive from various sources. I don’t post more than twice a week so that I can really prepare my content. I study my google analytics and will be working with someone to improve my SEO. I can honestly say that these first two weeks of searching the net, studying, reading, and actively on social media can be overwhelming. But I am enjoying putting amazing looks together and being my creative self! I have decided to STOP! NO not my blog but trying to keep up with the latest and greatest. I will post (on social media) when there is a need and I have something valuable to say but not every 5 minutes. Although I love fashion I don’t want to be one that follows every trend that smacks us in the face each season. I believe in creating your own authentic style. So I will continue to follow my heart, connect, communicate and reach out to other bloggers. However, I will not overwhelm myself with trying to be like everybody else. I love this website! Thank you for your support and I am so glad that you remain the beacon for babies like me in the blogosphere. Peace! Well…what a good article! I’m a new blogger and just doing what I feel is right for me at the moment in the sphere of blogging. After years of thinking about blogging I now actually have the time to do it and loving every second. I love that I’m learning about all these new things from interpreting my style into my site design, writing using my true voice, working on building my audience (Rome wasn’t built in a day), SEO…I didn’t even know what that was until about a month ago. As newbies the pressure is on to have followers in the K’s like the top bloggers, but as mentioned in the article these blogs have been in the making for years, as my mom always says ‘you have to learn how to walk before you can run’ (yeah,yeah corny I know). Stay strong fellow newbies because we won’t be newbies forever, but we will have gained a whole lot of knowledge, experience and friends with our challenges. I started my blog 9 months ago and I am still struggling to gain consistent traffic. It’s very frustrating when you put so much time and effort into something and don’t get the results you were expecting. I’m working on my patience in hopes that someday my hard work will pay off! I’ve just had a look at your blog, it seems fine but there is one thing that bothered me about it – leaving a comment on your blog felt really hard and unfamiliar, I had to make 3 attempts to get one on there! I would recommend you switch to a comment system more user friendly and common so people can connect with you easily, and you can connect with them back to build up relationships. I hope you are not offended by me saying this, it is just that I saw an easy way to improve the interaction on your blog so thought I would share it with you. I have just began my blog. I am just hoping if I connect with others and connect with other peoples blogs who are struggling too then traffic has to pick up at some point. You just got to keep connected and keep conversation going on other blogs, twitter, facebook, pintrest and then link them back to your site. I do believe fashion blogging is all about quality stuff. I’m a newbie in this industry but I’m determined to find out what makes other bloggers click. I mean let’s face it. Kristina Bazan and her Kayture.com is a role model in this business. For me, fashion is passion and vice-versa. If you want recognition you have to be 100% dedicated to your passion. 1 hour a day blogging about your personal opinion on fashion, your ideas, and thoughts will bring results. Blogging is like fine wine…the older it gets, the more appreciated it becomes if you’re committed. This is a great article! I could kick myself because I was among the first wave of bloggers c2004 and things were certainly a lot different then and much more ‘grassroots’ style. Unfortunately I lacked the level of commitment that I demonstrate nowadays and my blog didn’t last too long. I too struggle with the amount of ‘noise’ online now and I’m frustrated by the fact that industry experts complain about over saturation, and that they long for more unique blogs yet they continue to showcase and give accolades to the SAME old style of fashion blogs!!! Albeit, I’m a bit of an all-rounder… art, words, style, but I worry that this means that I am somewhat misunderstood. But who cares, I have my own voice and that’s why I started blogging in the first place- to let it be heard! This is exactly what I’ve been struggling with lately. My blog is about a month old, but I’ve been reading fashion blogs for a while now. I have this image in my head of how I want my page, pictures, and outfits to look, and it’s so frustrating when I feel like they’re subpar. I’m constantly comparing my blog to others, which I probably shouldn’t do, but it’s hard not to! Right now, my biggest problem is trying to gain followers. I’ve told almost every one of my friends and family members to read my blog. I post it on facebook, twitter, both my personal and blog instagram accounts, etc. each time I write a new blog. But most of these people aren’t on Bloglovin or GFC. They may read each and every blog I post but it’s not showing up in my “followers” numbers because they aren’t into the blogging social media sites. I’ll just keep on keepin on and stay committed, and hopefully people will appreciate my love of fashion! This is a great post! Blogging for me has been a way to tap into the expressive artistic person that lives within me. When I started blogging it was my “ah-ha” moment. I’ve been working a lot of corporate type gigs, and blogging has opened up an entirely new world for me. One that has actually helped me to realize what it is I truly want to do in life which is fashion marketing. As for the struggles I’ve faced, the biggest for me has been comparing my blog to other top notch blogs and just kicking myself over and over for feeling as though I’m not up to par. So I’m slowly getting away from that thought processes and focusing more on how I can differentiate myself. Additionally, I’ve been focusing more on honing the skills that help to grow a successful blogger like photography, networking and more. I don’t think about the noise, or over saturation that is apparently occurring because it’s always going to be there. I just focus on the goals at hand which are learning and growing, building relationships and helping people. Love IFB! I didn’t know about IFB until last year and didn’t become active on it until this year. I do wish I knew a lot of what I know now when I started blogging. When I think about it though, I know that it wouldn’t have made much of a difference because I would have missed out on the most important aspect of having a blog…..LOVING IT ie. loving the fact that I own my own tiny corner of the internet, that I have the freedom to write whatever I want, that I can share the things I love with others, that I can be right or wrong and still have people say it is ok. It has it’s downside though, like the first time someone posted on my blog about how my looks were crap and how they wonder I call myself a makeup artist but it has definitely helped me to grow and develop myself as well as expand my love for social media and understand how they all work. I think new bloggers are in the best era ever. They have it all on a silver platter. It is left for them to break it or polish it. I had a blog that I ran from 2008 until just last year. It was a tough decision to walk away from it and the traffic. I’m starting fresh with a new vision and ideas. I agree with the noise part. I hope to make music not noise. Learning and growing. I’ve been blogging since 2008 but started an exclusive style blog last week. I’m impatient when it comes to most things so the phrase, “Rome wasn’t built in a day” doesn’t bode to well with me. I want a huge following and I want it now!! Lol In the current atmosphere social networking seems to be the most crucial key to success. I’ve created twitter, Facebook, Instagram, Google+, Pinterest and Bloglovin profiles hoping that will increase my following and increase it now!! There seems to be a thin line between gaining exposure and over saturating social media. Is there such a thing or is any exposure better than none?